We all like to think we’re a bit cultured and sometimes wistfully view life as an exercise in collecting wisdom. But being able to say ‘hello’ in more than three languages and knowing your way around a subtitled film isn’t quite going to win you any medals at the ‘Most Cultured’ awards. Seriously though, if you think about it, how much do you actually know about other cultures and their creative output? Since 2004, when Poland joined the European Union, there has been a massive increase in the number of Polish migrants and there are now over 22,000 living in Scotland. And over this time, Polish artistic culture has naturally filtered its way into Scotland; but sometimes there just isn’t the opportunity to stop and appreciate it. This is where the Polish Cultural Festival comes in. 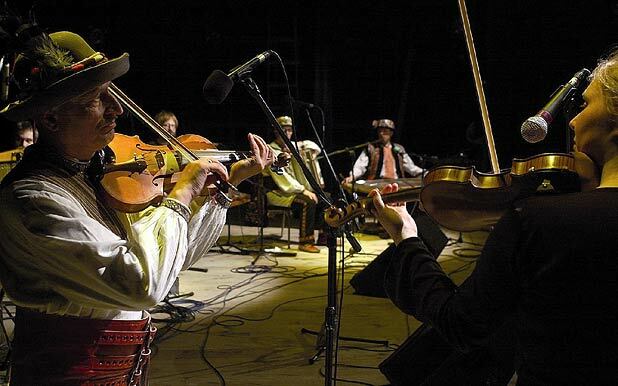 Its purpose is to bring Polish culture to the fore during a six day extravaganza this April. Event director Joanna Zawadzka believes ‘we need something like this to promote the diversity of Polish culture and to get Scots and Poles having fun together’. There will be music, dance, art exhibits, film screenings and food tastings. And if she has one hot tip that she advises everyone to check out, it is the Warsaw Village Band; an offbeat, on-the-edge of sanity bunch of folk musicians, with lively rhythms that will make you jiggle like a worm dancing to a disco beat. And here perhaps lies the essence of Polish culture; it is vibrant, experimental and takes you in unexpected directions. Zawadzka says; ‘Polish culture just seems to be getting bigger and better and we’re having trouble fitting everything into the festival’ – so much so that its running time has already been extended by two days to cope with the jam-packed schedule. The pièce de résistance of the festival is perhaps the massive Ceilidh party, which Zawadzka describes with a hint of mischief ‘It’ll be Polish people dancing traditional Scottish dances, which should be pretty funny’ she chuckles. It’s an interesting way of getting people to really delve into other cultures, by basically dropping them in at the deep end. Perhaps they should also have Scottish people trying to cook the perfect makowiec (a traditional Polish poppy seed cake). And then at the end we could come together and rejoice in our richer cultural awareness (or just poke fun at each other’s failed efforts at dance and culinary skills). There has been a large Polish community in Edinburgh for many decades; especially since WWII. And there are Polish folk-musicians in Edinburgh from before the time of the recent influx of young people from Poland. It is disappointing that this older generation has not been included in the programme for the Polish Cultural Festival. I hope that the organisers are not going to be "agist" in future and will consider engaging some of the older community in the planning process before any future events.